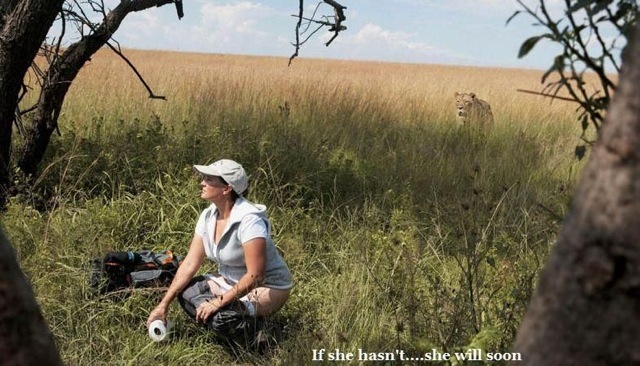 A western woman in Africa—presumably a tourist—squats to go to the toilet in the bush, pants down, toilet paper in hand, her backpack in the grass nearby; unaware a lion is sneaking up behind her. Captioned “if she hasn’t… she will soon”. Created about 7 yrs, 7 mths ago (August 27, 2011). Updated about 6 yrs, 7 mths ago (September 18, 2012).